Seriously THE BEST jackets around! Seriously THE BEST jackets around! Julie was great and very helpful! These custom fitted jackets can be made for your unique lifestyle and needs. From pit zips, to an extra large hood to accommodate your helmet when on the slopes, or even a "shirt tail" back to keep your buns warm, these jackets are worth EVERY PENNY! I made a trip from out of state just to get fitted for this awesome jacket! Seriously y'all go and get your own! You will wonder what took you so long, and never go back to your plain old fleece. 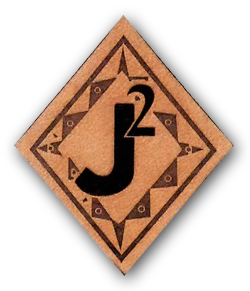 We found J 2 Softwear this summer on a trip through Salida. I custom ordered a long-sleeved jacket and I ABSOLUTELY LOVE IT! I needed it to be shorter in the sleeves and wider in the hips and Julie did a fabulous job on customizing the jacket to my measurements. You get many options to choose from, hood or no hood, high or low collar, velco cuffs or straight and she will tailor it to your specifications. It is very customer oriented and I had a great experience! They also do vests and blankets. I would highly recommend J 2 Softwear and will be back to order again.